Dull and stained tyres can ruin the look of your perfect finish. 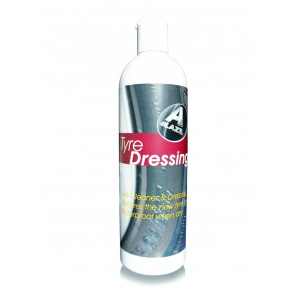 AGlaze Tyre Dressing cleans and restores weathered tyres. It leaves a long lasting, fade resistant, waterproof sheen. Apply one coat for a natural satin finish, for a deeper gloss, simply apply additional coats.